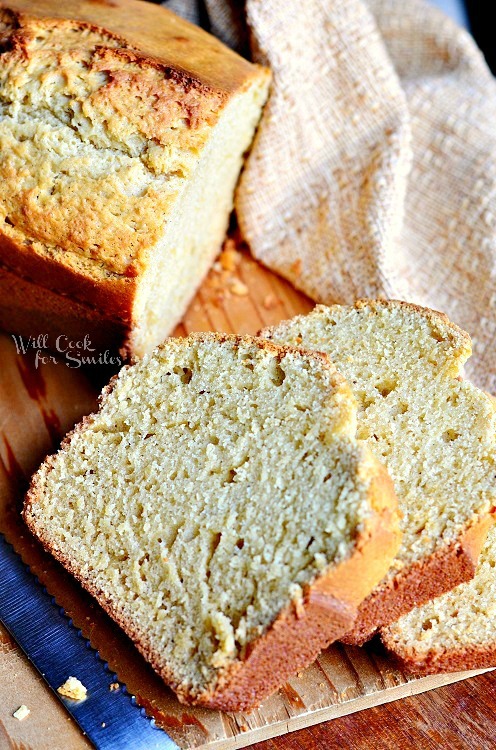 Soft, warm and delicious Vanilla Bean Eggnog Bread made with Rodelle Vanilla Beans! 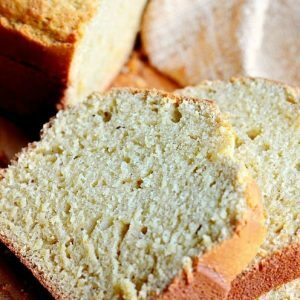 Serve this bread warm with a side of ice cream to make it a comforting holiday dessert! 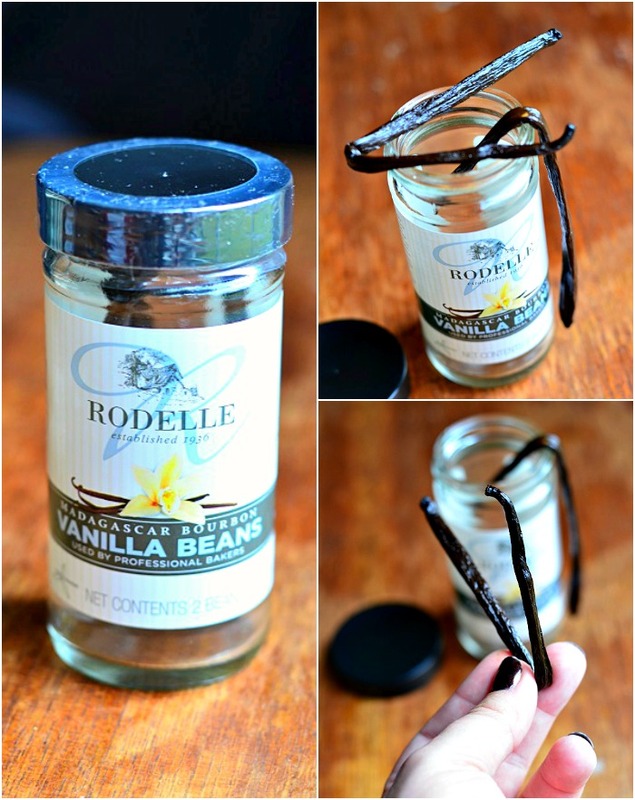 I LOVE vanilla and especially vanilla beans. I love the smell of vanilla bean on my hands after I’ve taken the vanilla seeds out to bake with it. Lately, I’ve been craving vanilla bean anything (partly because I wanted to smell a fresh vanilla bean) since it was so long since I’ve made any recipes with it. It’s been even longer since I’ve posted recipes with vanilla beans. I actually only remember posting one recipes and it, Vanilla Bean Cheesecake. That just won’t do…I’ve got to give you more recipes using vanilla beans! 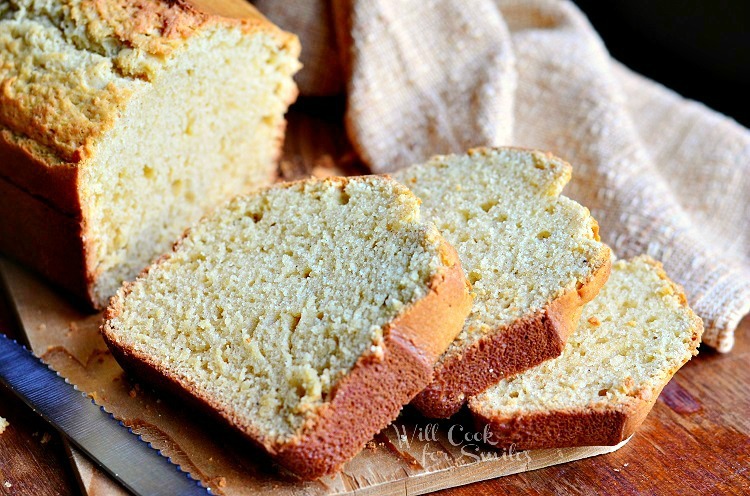 I’m starting with this incredible delicious eggnog bread! My husband looks forward to the holiday season for the presents and the eggnog. The man seriously loves eggnog so I got him some. I have never tried straight eggnog and I don’t think that I will. I do like the flavor in baked goods but I just can’t get my head around the raw egg part in a drink. So even though I don’t drink it myself, I like baking with it. Eggnog pancakes and waffles rock too! Putting eggnog and vanilla bean together was a heavenly combination! I save my beans for special recipes and this holiday bread was well worth the beans. The little guy stole two pieces of bread while I was taking pictures and ate them right away. It’s delicious by itself but I found that served warm with ice cream was simply perfect! 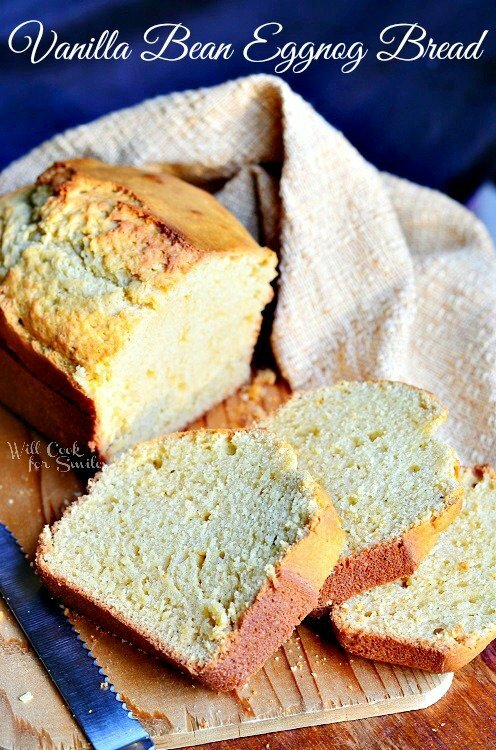 Vanilla Bean Eggnog Bread made with Rodelle Vanilla Beans! 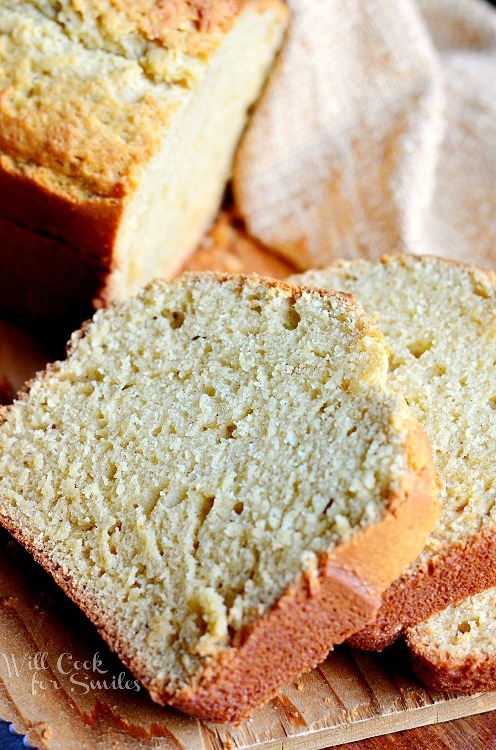 Serve this bread warm with a side of ice cream to make it a comforting holiday dessert! 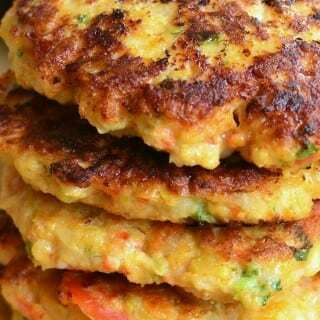 Mix the dry ingredients together and set aside. In a sauce pot, over medium heat, heat up eggnog and add the vanilla bean. Lower the heat and steep the vanilla bean for a few minutes. Slit the bean open and scrape out the seeds into eggnog. Take off heat to cool down. 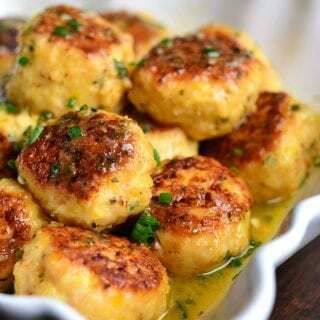 Whisk the eggs, melted butter and rum extract together. Slowly add the eggnog while whisking. Whisk in the dry ingredients until all combined and smooth. 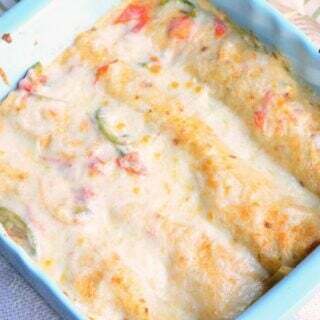 Pour the batter into the bread baking pan and bake for 45-50 minutes. Do a toothpick test to check if the bread is done. Make sure you follow me through your favorite blog reader (bloglovin or other), subscribe to e-mail or follow me through | Facebook| Twitter| Pinterest| to keep up with the recipes! 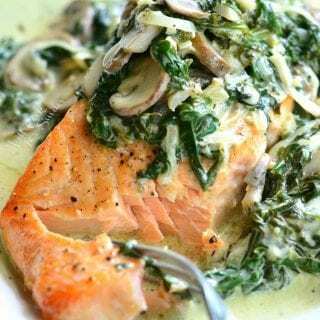 I will be sharing this recipe at the wonderful parties in my party tab + Weekend Potluck, and Rattlebridge Farm. Swing by and link up your own projects! 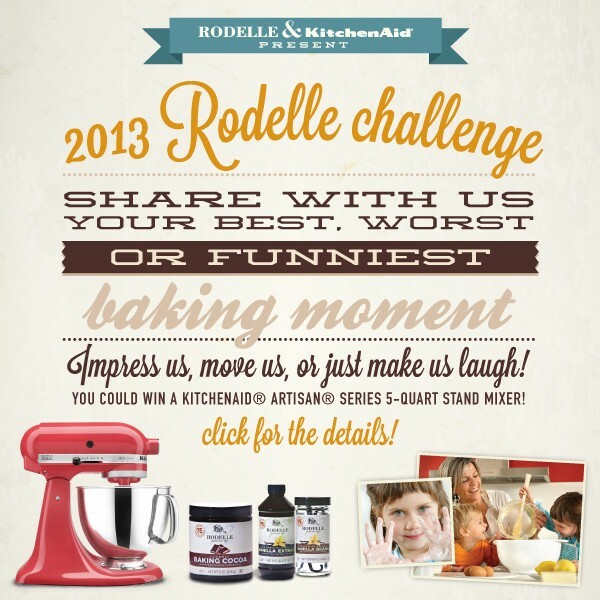 I want to remind you that the Rodelle 2013 Challenge is still going on! There is still time to enter for a chance to win a whole YEAR supply of vanilla beans, baking cocoa, pure vanilla extract, a new flavored extract each month, and of course a KitchenAid® Artisan® Series 5-Quart Stand Mixer!! Just share your best, worst, or funniest baking moment. Share a recipe with a story, a video of family baking time or just your favorite kitchen memory. Disclosure: I have been provided free product but I have not received other compensation. All opinions are 100% my own! Sure was tasty, even alone! Awww, thank you, Krista! I can’t wait to try the cocoa, I have some of that too! I thought you would. Its awesome! 🙂 Can’t wait to see a recipe for that! Lyuba, this looks absolutely amazing! 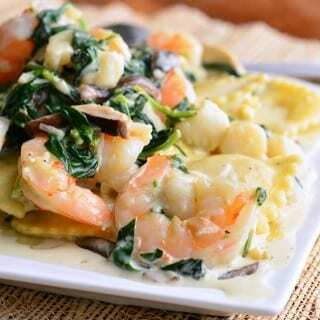 I cannot wait to make this for the holidays. Thanks for the great recipe! Yum! I can smell it now!! I also love the smell of vanilla. Once I scrape the beans out of the pod I put the pod in my sugar canister. The sugar gets a lovely vanilla taste and every time I open the lid I can smell the fragrance. Um um good. Thank you for a sweet comment! Hi Lyuba! This bread looks amazing! All of my favorite flavors rolled into one. Perfect for the holidays! Stopping by from Gingersnap Crafts Wow Me Wednesday! I’m so happy you like it, Blair! Thank you! 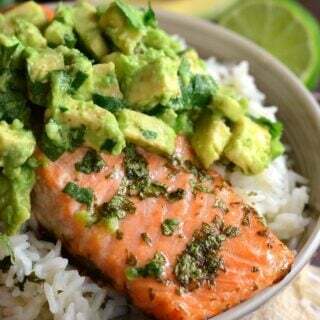 This looks wonderful and I bet tastes delicious. Thanks for linking up to MM this week…pinning. Hope you made it and liked it, Kelly! Thank you!